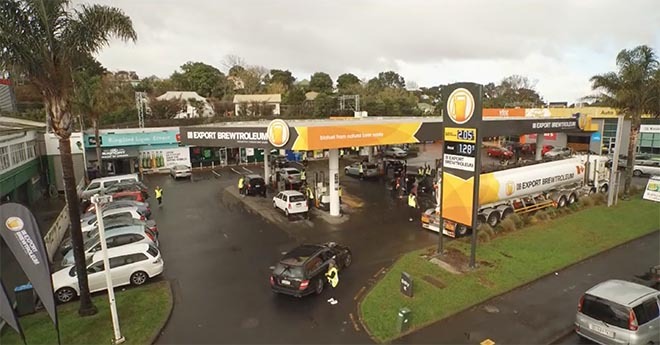 Seven weeks ago, DB Export, Colenso BBDO and Gull launched DB Export Brewtroleum – a clean-burning biofuel made from the yeast leftover after they finish brewing beer. Since then, a nation of men have rallied to the planet’s defence, selflessly committing themselves to drinking DB Export. While everyone wants to help Mother Nature, not everyone can drink full-strength beer, so the brewery has created DB Export 0.0% Citrus – a refreshing lager with 0.0% alcohol and natural lemon juice. Its 0.0% alcohol content means that now anyone can help contribute to the production of the planet-saving biofuel. 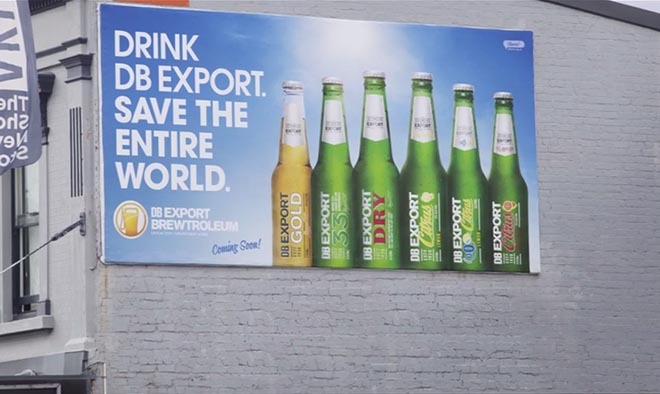 “The World’s Still Here”, the latest commercial in the campaign, calls on men to drink DB Export in order to save the entire world. So far DB Export drinkers have helped to create over 300,000 litres of the planet-saving biofuel – enough to open a DB Export Brewtroleum station and partner with Gull to supply 60 service stations around the country. 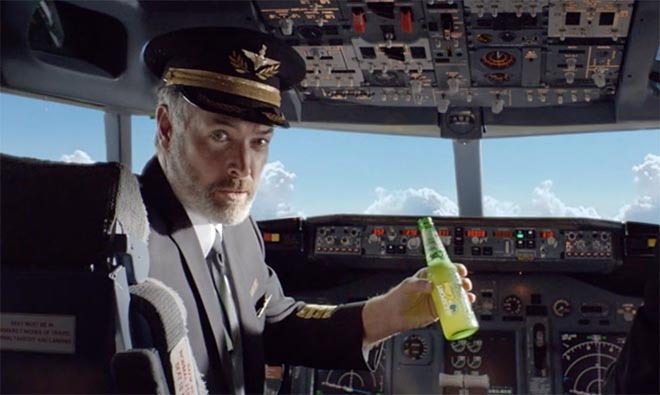 A series of commercials reveal the campaign: “Made by Doing”, “The World’s Still Here”, “DB Export Citrus 0.0% Will You Help?”, and “DB Export Citrus 0.0% You can drink it here”. Behind-the-scenes documentaries outline the campaign’s evolution: “From Idea to the Pump”, “DB Export Petroleum – the Brewery behind it all”, “DB Export Petroleum – The Science”, “DB Export Petroleum – The Process”. The DB Export Brewtroleum campaign was developed at Colenso BBDO, Auckland, by creative chairman Nick Worthington, copywriter Simon Vicars, art director Brett Colliver, copywriter Matt Lawson, art director Andre Sallowicz, head of planning Andy Macleish, head of account management Angela Watson and business director Brodie Reid, working with DB marketing team Maud Mejiboom-van Wel, Sean O’Donnell, and Tony Wheeler. Filming was shot by director Tim Bullock via Scoundrel with director of photography Crighton Bone, executive producer Adrian Shapiro and Ben Scandrett-Smith. Post production was done at Blockhead. Sound and music were produced at Franklin Rd. PR and activation were produced at Spark PR & Activate by managing partner Robin Wilson, client services director Kristy Mayo, head of content Mike Harland, account director Cassidy Meredith, account manager Lucy Harris and senior account executive Lauren Hunt. Media was handled at Spark PHD by media director Amanda Palenski, media planner Harriet Finnigan and senior trader Lisa Rainger. Digital work was done at PHDiQ by digital director Jas Gierlinski and digital media manager Kat Burnett. Digital work was done at Union Digital by general manager Todd Wicklow and account manager Rory Braatvedt.